While several manufacturers have been accused of not including enough information with their models it looks as if one went a tad too far in the other direction, and with unhappy results. 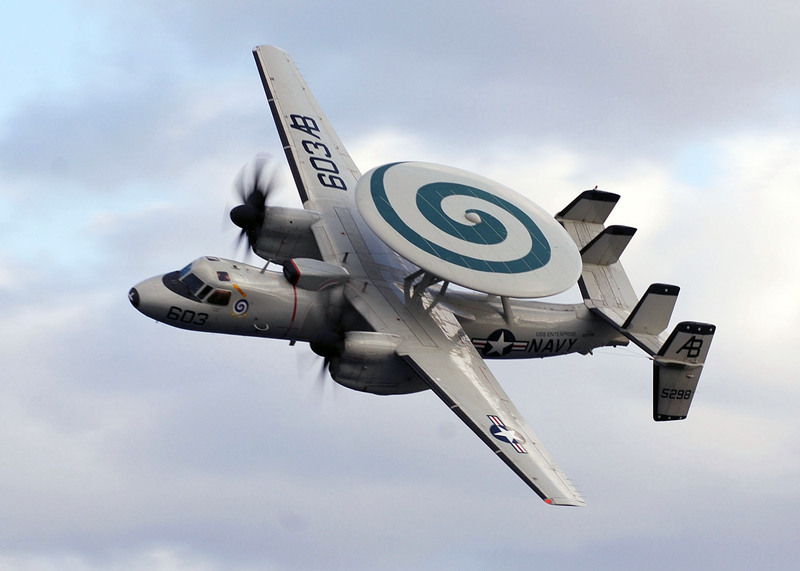 Hobby Master originally included some text on the top of the radome for their inaugural E-2C Hawkeye Airborne Early Warning Aircraft (as shown in this image), an oversight that may never be fully explained. Anyway, as some have pointed out, the text never appeared on the actual aircraft (as shown in the second image), as several online photographs clearly show, meaning their first foray could have been headed to the bargain bin. 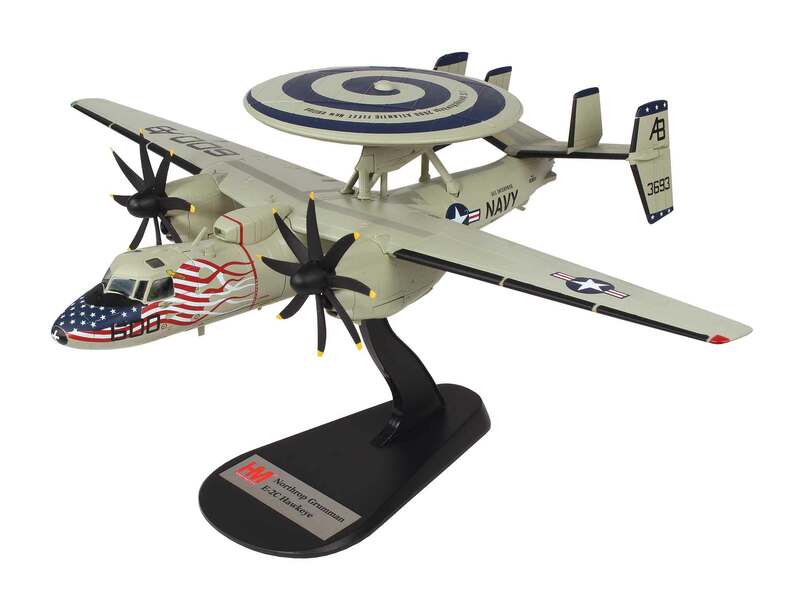 To fix the error, Hobby Master has dutifully returned this bird to their hangar and is removing any and all text they inadvertently included, leaving just the “blue swirl” intact to signify it belongs to VAW-123 “Screwtops”. While other manufacturers may have declined the notion of recalling a model to fix such a glaring error, its refreshing to see that at least one model maker is willing to go the extra mile to make their replicas as true-to-life as possible, even if it costs them resources, time and energy to bring their product to market. No one likes a black eye, but the take away here is that the Company recognizes its responsibility to their clientele and is working towards rectifying the issue to everyone’s satisfaction. Well done!